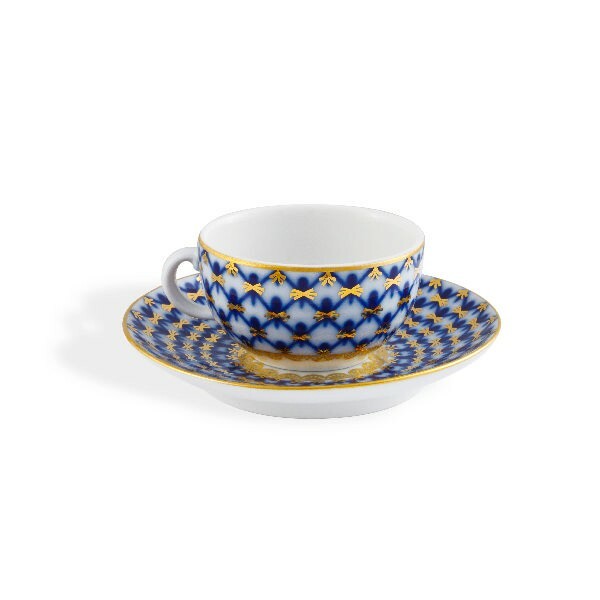 A charming single tea set (a cup and a saucer) is decorated with the cobalt net famous for its exceptional fineness. The pattern was inspired by the beauty of the porcelain dinnerware of the mid-18th century – the ‘Personal’ dinner set that belonged to Empress Elizabeth. Its golden net was decorated with little pink and blue flowers. 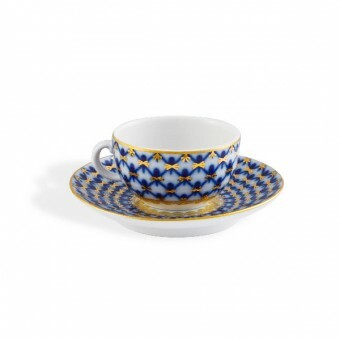 The modern interpretation of the pattern by Anna Yatskevich is no less elegant and includes 22 carat gold elements. Nowadays the dark blue cobalt net on the milk-white surface is the famous trademark style of the Imperial Porcelain Factory. Coffee-cup and Saucer Set "Tulip"